I stare at you with this face while you are trying to do your business. Uncomfortable? You’re welcome. 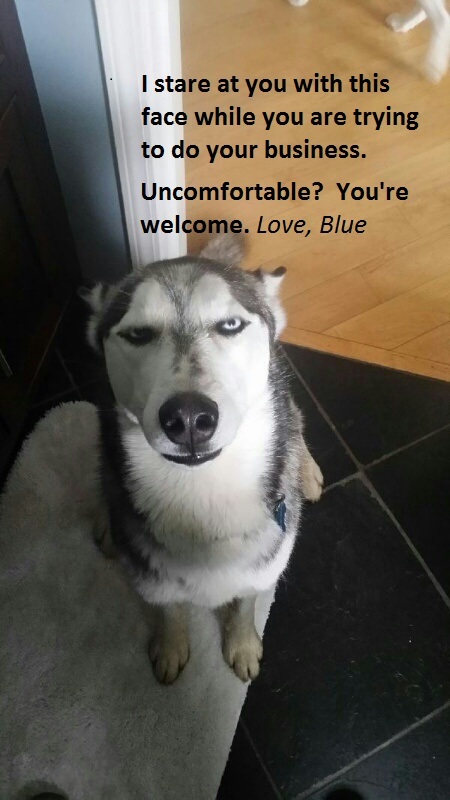 Love, Blue. Our Husky has many faces….this is one you can’t forget. He loves a captive audience. Posted February 22nd, 2016 . It looks like he’s disgusted with you. I’m dying! This is the greatest judgy face ever! He seems rather hypercritical. Are you sure you’re doing it right? Good God! That look would…inhibit me. This has got to be one of my all time favorites!